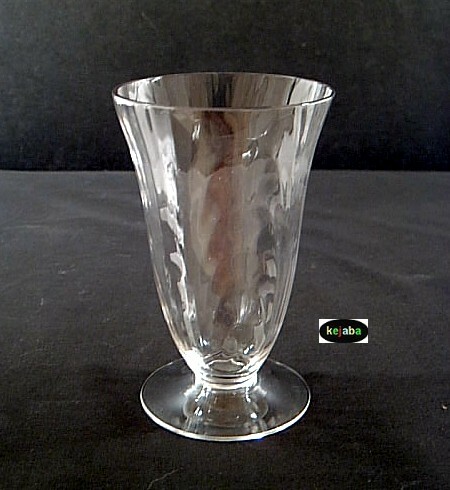 Elegant crystal glass no. 300 blown footed tea tumbler in the Caprice pattern. Caprice was made by the Cambridge Glass Company from 1936 to 1957. It measures approximately 5 3/8 inches tall and holds 12 ounces. All items available in this listing have no chips, cracks or cloudiness and show little if any signs of usage.